A stark reality for CARICOM countries is that we are dependent on imported oil and petroleum products for more than 90% of our energy services. Though global oil prices are currently at a four-year low, our importation of oil and oil products have been a major burden on our foreign exchange earnings and have tilted our balance of trade. High and generally unpredictable oil prices have consistently retarded the competitiveness of our region’s goods and services, which has negatively impacted extra-regional trade and stymied economic growth. Fortunately, for most of us in the region, we have been able to secure a reliable source of oil and oil products from the Bolivarian Republic of Venezuela through the Petro Caribe initiative over the past 10 years. Petro Caribe also provided us with economic space to focus on the social and economic development of our respective countries. The Petro Caribe arrangement notwithstanding, the majority of CARICOM states have been aggressively pursuing the development and deployment of renewable energy and energy efficient solutions. 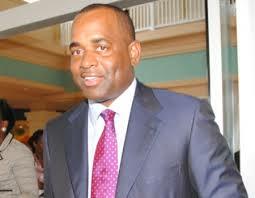 For CARICOM Member States, energy issues are inextricably linked to climate change. The transformation of our energy economies from one that is inefficient and mostly dependent on imported fossil sources which exposes us to the uncertainties and volatilities of the global oil prices, to one that is efficient and based on clean, indigenous, renewable sources, will not only allow us to play our part in global climate mitigation efforts – recognizing that collectively, we contribute less than 0.2 % of greenhouse gas emissions – but also facilitate our ability to implement some of the measures that are necessary for climate adaptation. Climate change, and the effects thereof, is the single largest threat to the sustainable development of each and every Member State of our Community. Our issues need therefore to be considered within, what may be termed, the Energy-Climate-Development (ECD) nexus. Over the years, a number of CARICOM member states have individually pursued the development and deployment of renewable sources of energy – from solar water heaters in Barbados, to geothermal energy development in the eastern Caribbean States of Dominica, Grenada, St. Kitts and Nevis, Saint Lucia, and St. Vincent and the Grenadines. Other member states have opted to develop solar PV and wind energy in the case of Jamaica. In 2013 CARICOM adopted the CARICOM Energy Policy and the Caribbean Sustainable Energy Roadmap and Strategy to serve as a platform upon which CARICOM can collectively deal with its energy challenge. This approach, which integrates all the elements of the energy system, is an important part of the Strategic Plan of the Community and is necessary to foster our transition to a low-carbon economy. The C-SERMS will be the basis for action in sustainable energy development for the next decade and will be executed in partnership with the Member States with the aim of better coordinating our plans, strategies and investments in clean energy. Currently, CARICOM is discussing the establishment of a central coordinating mechanism to serve as the hub to mobilize technical and financial resources and to coordinate the partnerships with third states and development partners. We look forward to the key role that the United States, through its various agencies – in particular, the Department of Energy, the respective national laboratories and the Overseas Private Investment Corporation (OPIC) – will play in assisting us to realize the opportunities for clean energy deployment under the C-SERMS. There is significant scope for Member States to curb energy demand growth by making economies as efficient as possible while, simultaneously, meeting some of the essential energy needs through low carbon renewable options. Significant economic gains can be made through the energy savings from energy efficiency and the substitution of imported oil with cost-effective, indigenous, renewable sources of energy. In a limited number of Member States, natural gas may be used as a “bridging fuel” to support base load power generation during the transition period. We therefore, place a very high priority on the development of cost-effective renewable energy sources, including options for geothermal, hydro and ocean power and waste-to-energy for base load electricity generation, and seek to complement those with intermittent power as from solar and wind. To unlock our renewable energy potential, however, we need to invest in research and development to determine the best fit for our respective member states. The upfront investment, unfortunately, is costly and can also carry with it some risks that the private sector is not prepared to meet or would only do so at a high cost to the consumers. Upfront investments, to a great extent, have become the responsibilities of member governments. A case in point is my own country, Dominica. We have invested close to USD 20 million to determine the commercial viability of our geothermal energy and we are now on the cusp of eliminating our reliance on fossil fuel for generation of electricity. The majority of our investments, like is the case for other member states, is for the procurement of goods and services from outside our region, including the United States. There is, therefore, a need to partner with the United State to carry out feasibility studies that can create bankable renewable energy projects for which private sector financing can be sought. Once projects have been made bankable we have found ourselves with the difficulties of sourcing the necessary financing and entering into partnerships with the private sector. Our interests must always be protected. Consequently, there is need for the creation of a special financing facility to fund the renewable energy projects. The Caribbean Development Bank (CDB) has recently demonstrated its commitment to finance renewable energy projects and to this end has created a special energy unit and facility. The CBD, however, does not have adequate resources to finance the projects that can transform the energy sector in our region. A special facility from the United States to capitalize a renewable energy revolving fund of about USD 2 billion would make financing more readily available to CARICOM and at the same time build the capacity of our regional experts. This could also be done in partnership with US government and private sector facilities and institutions. The role of OPIC in supporting the current expansion phase of the Wigton Windfarm in Jamaica, as part of a dedicated facility for sustainable energy investments in the Caribbean, is indicative of the partnership we desire. The Multi-Donor Energy Co-Financing Facility for Caribbean Sustainability, which is being championed by Trinidad and Tobago and is seeking already to raise USD 1 billion in grant and investment capital from multiple and diverse donor countries and institutions, is an indication of our resolve to tackle squarely, one of the major barriers to clean energy development within CARICOM. We also recognize that Public Private Partnerships (PPPs) can help to unlock the financing that is required to implement these projects. In order to protect the interests of our people, however, there is need for honest brokers on the side of our governments. The Wigton Windfarm, like the Dominica and Saint Lucia geothermal development projects, has benefited and continues to benefit from the Clinton Climate Initiative, part of the Clinton Foundation for the past 3 years as an advisor and honest broker. We look forward to this and other partnerships from the United States to provide support to our governments especially when negotiating complex renewable energy projects with private sector companies. We look forward therefore to the implementation of the declarations of the Caribbean Energy Security Summit, to build the necessary capacity within our region and to mobilize the required financial resources to transform our energy sector. Finally, we seek the support of the United States in mobilizing climate adaptation financing for CARICOM Member States under the new climate deal that is expected to be concluded at the December 2015, COP-21 Meeting in Paris. This is relevant to the security, climate resilience building and sustainable development of our respective countries and no doubt, affects the prosperity and stability of the Region. 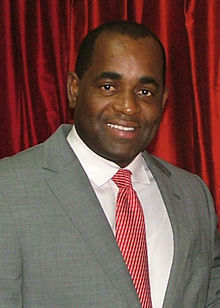 Roosevelt Skerrit (born 8 June 1972) is a Dominican politician who has been … most recently as Chairman of the Caribbean Community (CARICOM) in 2010.